It is that time of year again. Fleas are starting to be reborn to terrorise us and our beloved pets! Well, you know what, it does happen and we shouldn't be so hard on ourselves when it does. Even though there may still be some sort of social stigma attached to your pet having fleas, it’s an escapable fact of life, especially when you live in warmer, more milder climates. I believe one of our roles as pet owners is not to pass judgement on others but to do our part to prevent and eliminate fleas anyway we can. VetShopAustralia’s in-house vet, Dr Mark Perissinotto, also believes in the importance of eradicating fleas early in the season and believes proactive care is essential to keep your home and pets flea free. Read his Top 4 Steps to Prevent a Flea Infestation here. Finally, did you know that the best medications to prevent and control fleas in your pet will vary from one pet to another and will depend on what other parasites your pet is likely to be exposed to; as well as your individual preference for method of usage (topical treatment VS tablet)? 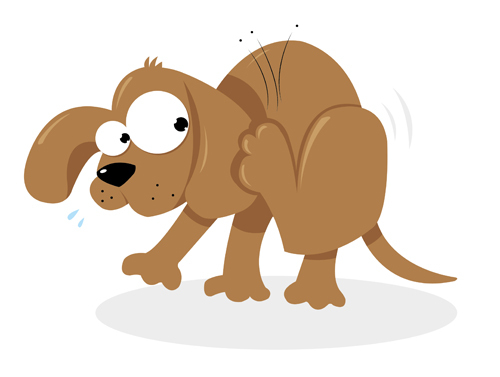 For a comprehensive comparison between individual flea preventatives, just click here. Knowing your enemy is the best way to control them so here are some informative yet strange and disconcerting facts about these parasitic, hematophagous little creeps. If they were human sized athletes participating in the long jump, certain fleas could break the current world record by approximately 970 feet. Spring has definately sprung demanding smarter flea solutions; so please remember to be proactive and start treating your pets now.